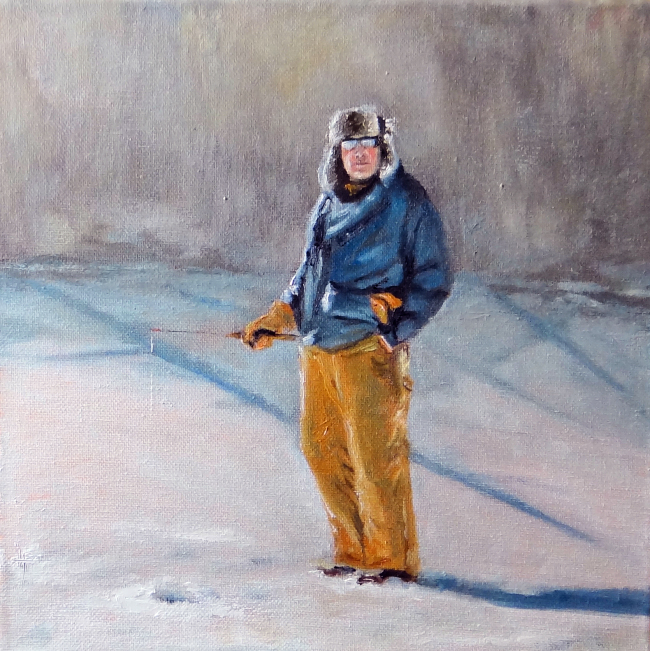 My first official painting post a year ago, titled "My Best" was my husband ice fishing. My last painting post is from the same photo and titled, "My Bestest." If I had any doubts about the value of this year, I just have to look at the first and last paintings and know this was so worth it. Oh mercy, how much I have learned. My deepest thanks to you all for every like, comment and share. You guys fueled the bus on this journey and I felt your support every day. What next? Getting ready for the exhibits and then... who knows? I have more ideas than time, but I will keep posting as plans unfold. Thank you, thank you and then some.